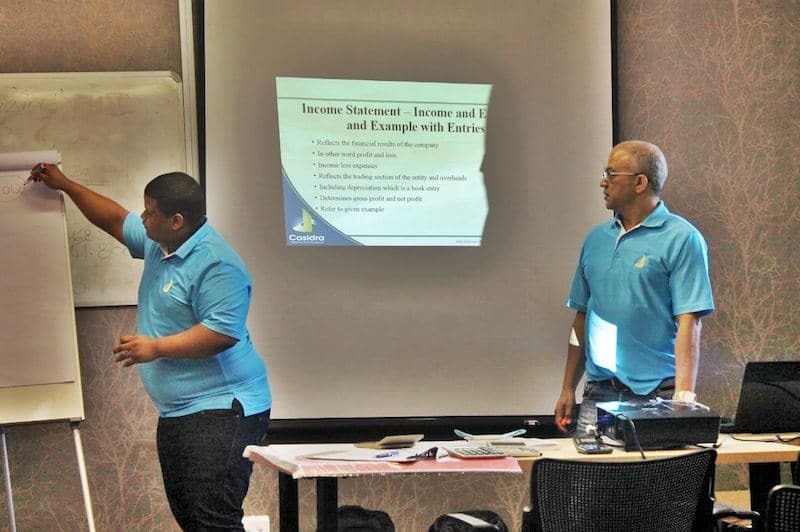 Casidra presented a financial training course to the staff of the West Coast Business Development Centre (WCBDC) in Saldanha Bay on the 1st of December 2016. Thirteen candidates, representing ten different businesses and the WCBDC, attended this training. The aim of this training was to equip the attendees with financial skills in order to manage their small/medium businesses. The content of the course was designed around the following topics, namely introduction into entrepreneurship and the challenges faced by entrepreneurs; financial management; and practical financial statement exercises. Casidra received positive feedback from the attendees who are most grateful to our staff Leon Faro, Carl Boraine and Justin Janse. Casidra’s CEO, Michael Brinkhuis thanked them for making Casidra proud and flying it’s flag.